While there are no specific, explicitly stated rules for how, when, and what one should text, there is undoubtedly an unspoken standard of what is appropriate and inappropriate to text. SMS will help farmers monitor the price of their produce in any particular market. On the other hand, buyers can know the prices of commodities by sending a text to 20245. Study of more than 76,000 text messages shows that texting about delinquent topics predicts youths' involvement in antisocial behavior. The study provides a unique window into the social lives of adolescents, as it is the first to directly, naturally and unobtrusively observe text messaging between adolescents and their peers, and how it relates to later involvement in antisocial activities. 172 ninth-grade students from 47 American schools sent and received nearly 6,000,000 text messages during the yearlong study via Blackberry devices. The messages were archived, and four days of text messaging per participant were analyzed for discussions about the purchase or use of illegal substances, property crime, physical aggression and rule breaking. The youths, their parents and teachers rated their behavior before and after the ninth grade year. This is an innovative way to use text messaging that saves lunch. The TED Talk is done by a teen and discusses a device he invented! Worldwide there are more than 4.3 billion SMS-enabled mobile devices and in the U.S. approximately 96 percent of smartphone users regularly send and receive text messages, according to the Tatango SMS Marketing Blog and Acision via Oxygen 8, respectively. These statistics, and common sense, indicate that SMS is one of the most popular forms of communication. 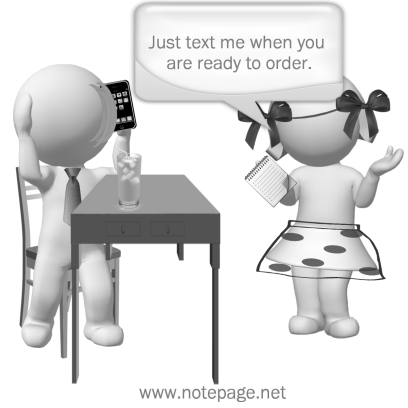 Textings widespread use alone should encourage online retailers to begin communicating with customers and potential customers in that manner. But if you still need more convincing, here are six more reasons that retailers should use SMS. A new study has revealed that a typical mobile phone user will send two million words of text messages in their lifetime. According to Metro, a lifeâ€™s worth of texting is even longer than War and Peace, which is just 591,000 words in comparison, and one could even punch out the Oxford English dictionary six times or the complete works of Shakespeare twice. Spending hours scrolling travel websites for train booking may soon be passe, with a leading Indian bank now offering booking services via SMS service. ICICI Bank, Indias largest private sector bank, today launched SMS-based rail ticket booking services, in partnership with IRCTC and Bharat BPO Services Limited, a Spice Digital group company, a statement from the bank said.